During E3 2018, Waypoint spoke with 14 different companies to discuss about how they deal with crunch, something that’s a very prevalent issue in the video game industry. One company Waypoint spoke to was none other than Nintendo of America. 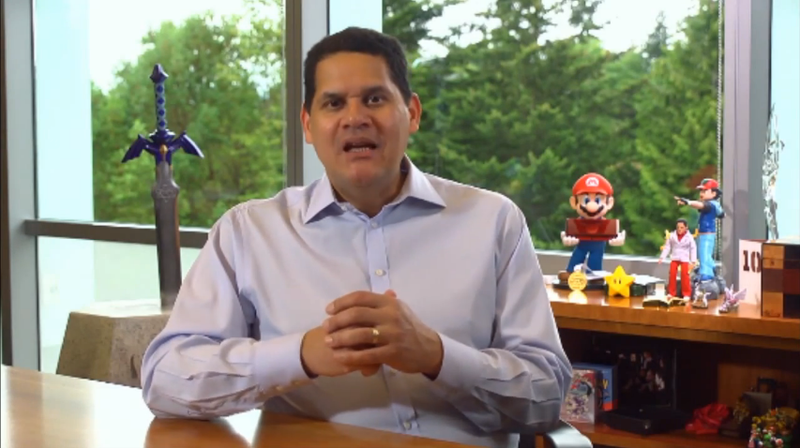 To be exact, they clinched an interview with Nintendo of America President Reggie Fils-Aime to talk about it. As a company that values its employees, Nintendo of America handles crunch by bringing on more employees so no one has to work longer hours. This is something that’s ought to be praised, given the circumstances surrounding the industry now. How is Nintendo committed—and what are you doing now to—to ensure that there is good work-life balance and fair conditions across first party title development, your executive level, your support roles—the stuff happening at Nintendo and hopefully even at close partners? How are you combating an industry wide relationship to crunch that can often be deeply unhealthy. Fils-Aimé: So look, I can only answer this question from Nintendo of America perspective and for us, crunch happens differently. It’s not a development crunch, but it could be a bug check crunch. Or it’s a crunch in preparing for an event. Or a crunch in preparing a game to pass our lot check process. Our approach is this: We flex through the use of contract employees. We flex in the way we work with our agency partners. Our mentality is we’re going to flex by adding headcount as appropriate to help us get over a crunch. That’s the way we approach it. Does that mean bringing on more employees so that work hours don’t become extensive? And you have examples of doing that recently? That’s just the normal strategy? Fils-Aimé: That’s is our course of business. That’s the way we operate. And so we’re not asking people to go for a couple days without sleep. We’re not asking people to ignore their family and friends and their social life. We’re not asking people to do things that are unhealthy. That is not our approach. Do you think that there is as Nintendo, as a platform holder, some ability that… You know, Nintendo can’t fix the world, I understand that, but as a platform holder, some ability to attempt to address this industry-wide problem? And it’s not only on work life balance. It’s issues like diversity and inclusion. You know, with all of those tough conversations our mentality is that we’re going to model the behavior that we want seen. So that’s why I have a diverse senior management team. That’s why as a black man leading a Japanese company, I feel good about the things that we do to deal with higher order issues and to deal with them in a way that models positive behavior.